Harrison Group Environmental places great emphasis on the safety of staff when working for the company, whether it be on-site or in an office environment. 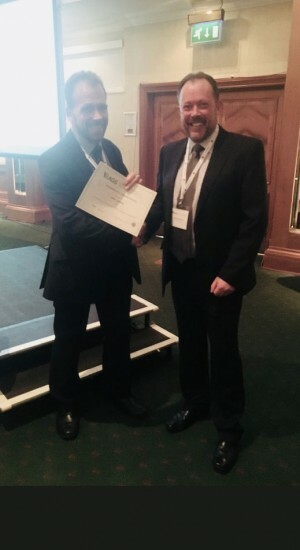 As part of this ongoing commitment, the company is pleased to announce that Henry Chapman – General Manager for Testing Services – has received the AGS Certificate of Commendation 2018, for his ongoing support to the Safety Working Group and for his work in contributing to the production of the latest safety and quality guidance. The group meets 3-4 times a year and is a platform to monitor existing safety guidance and implement revisons where necessary to continuously improve the safety environment of staff working in the industry. The select members of the AGS Safety Working Group bring a wealth of experience of working in the geotechnical engineering and geoenvironmental industry and Henry has been a member since May 2015. During the last 3 years he has, amongst other work, drafted guidance for the use on-site of Nuclear Density Gauges and revised Trial Pit Safety. In addition to this Henry has contributed to a number of additional safety guidance reviews. These include working with asbestos and the dangers of legionella. He is currently reviewing the guidance on the effects of work-related stress within the industry. Harrison Group would like to wish Henry every success in his continued work with the group. Presentation details can be found on Twitter and LinkedIn.